Learn to Check 750, 585, 417 Markings & What Do These Markings Mean? Silver markings and gold markings symbols are often the simplest way to learn essential information about your gold jewelry. These markings, which are part of a broad range of jewelry stamps, are designed to impart specific information about the gold or silver used in jewelry to the buyer or wearer. Let’s take a closer look at how you can learn to identify 750 gold, 585 gold and other similar markings and uncover what they really mean. 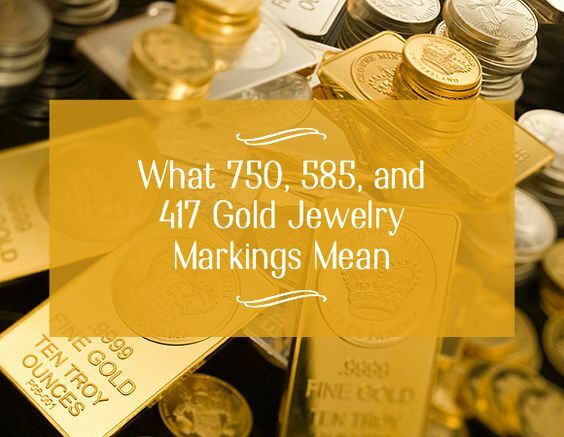 The most common markings or jewelry stamps you’ll find on gold are these numerical symbols: 750, 585 or 417. These are essentially shorthand for what karat gold your jewelry is made from; specifically, karat refers to the level of purity or fineness in the gold. 750 means 18-karat gold, 585 means 14-karat gold, and 417 means 10-karat gold. 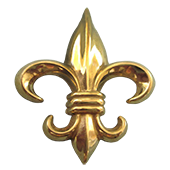 You may also find other gold markings symbols on your jewelry which indicate lesser or higher levels of purity, starting from 333 all the way to 999. If the jewelry was made in the USA, you may also notice it says “416” instead of “417” or “583” instead of 585; this is because American regulations allow for gold’s purity to be rounded up in karats. For instance, gold that is technically 13.5 karats can be marked as 14 karat gold. Whether you’re checking for silver markings or gold markings, there is one essential rule to keep in mind: check, check, and double check. It’s not always easy to find the jewelry stamps on a piece of jewelry, especially if it is an older piece or has come from a foreign market. Once you have practice inspecting your pieces for markings, however, you will find it becomes easier over time to spot them. A good rule of thumb is to look at the underside of the jewelry–such as inside a ring or on the back of an earring post–which is not normally exposed to the area. Depending on when and where the jewelry was made, you may notice some makers preferred to mark their jewelry with the karat level rather than the purity level (750 gold, 585 gold, and so on); this is not uncommon nor does it necessarily mean your gold is fake. If you suspect the imprint may be fake, it’s time to break out your high quality magnifying glass for a closer look; fake jewelry stamps to look more undefined and are applied in a slapdash fashion when compared to the genuine deal. Whether you’re interested in antique gold jewelry, antique silver jewelry or you prefer modern pieces, it’s important to know what the markings on your jewelry mean and how you can use those markings to further identify the pieces in your possession. Keep the above guide in mind when inspecting your jewelry. You might be owning several antique silver items which have innovative designs. Of many classy antique silver pieces, you might be having Gorham antique silver items which are considered as the most expensive silverware till date. If you are the one who once collected huge antique silver pieces along with Gorham silverware and now you want to sell the antique silver items to an antique store, then you should approach our online store at once. We are the professional seller and buyer of antique items and antique silver pieces. We have expertise in identifying Gorham silver marks. If you own original Gorham antique silver pieces, then we will pay you a high price for the antique items. Are you thinking how you will reach us? Do not fret. When you type over the internet about the antique stores near me, then you will see our site instantly. One of the notable and eminent companies in America which was known for manufacturing sterling silver and silver-plated silver items is the Gorham Silver. The company was first established in the year 1831. It was the Jabez Gorham who was the founder of Gorham silver. He started the partnership with Henry L. Webster. The company’s prime products were silver spoons, silver jewellery, combs, thimbles and several other small products. After the retirement of Jabez Gorham, his son John Gorham became the owner of the organization in the year 1847. He expanded the business by introducing the most expensive silverware in the market. He wanted to have innovative designs in the silver items. Therefore, he attended many workshops in Europe, had discussions with several skilled craftsmen. Later, the silver items became so popular that they were used in the White House. Many influential people started using the silverwares manufactured by Gorham. The company made its mark in presenting tea and flatware service and sterling and silver-plated services. The history witnessed top-notch and most expensive silverware in the past era. As the silver-plated items, tea sets and sterling silver items gained its popularity worldwide, the Gorham decided to use silver markings at the backside of every silver-plated and sterling silver item. Since then, the Gorham silver marks came into use. Gorham’s hallmarks were not stable every year. 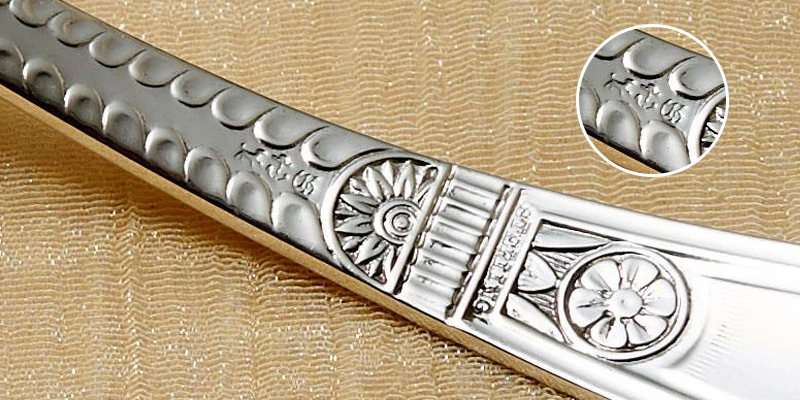 Sometimes, the mark of lion, letter “G”, a wolf’s head and several numbers were embossed in each silverware. Later, it was decided to use the number of decades on the polygon as the Gorham silver marks. If you are searching on the internet antique stores near me, then you will get to see our antique online store. We are into the business of buying and selling antique silver items, antique silver furniture items and other finest antique pieces. Find antique stores near me in Sarasota to sell the authentic antique silver items and Gorham silverwares. We are the leading antique dealer and purchaser of Sarasota region. If you have a Gorham silver piece, then you can sell it to us. We will assess the piece, provide the appraisal and give you the appropriate price of Gorham silverware, tea sets and silver plates. Contact us immediately to sell the most expensive silverware of Gorham at the best price. Pro Tips: How to Spot an Antique Painting? Great works of arts are pleasing to the eyes. They showcase the ingenuity of the artist and hold so much value. Investing in such works can be rewarding once you know how to spot real antique paintings. It is also important to know how much a painting is worth before investing in it. 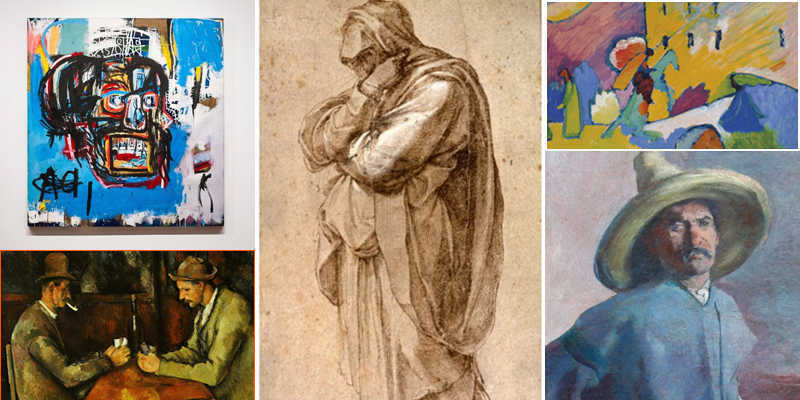 There are appraisers that can always help with this but first you need to know how to spot real and valuable paintings. For canvas paintings, perfectly even edges indicate that the paintings may be fake. Check the mounting method of the painting. If it is an authentic old painting, it should have nails or empty nail holes around the frame. A supposedly old painting with staples as mounting method and no nail holes is more likely a reproduction. Paintings with high quality frames. Fine art paintings can be very valuable. You need to spot original ones and purchase wisely. 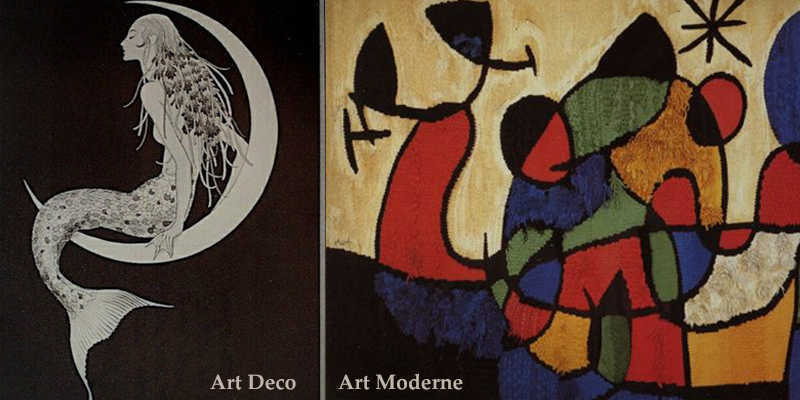 Art Deco Vs Art Moderne: Which One Do You Have? Some pieces of art are too similar that it is too hard to differentiate them. Art deco and art moderne are good examples of such art types that are hard to differentiate. If you have any of them, it is possible that you have no idea which one it is. Even though they originated from different countries and were introduced at different times, the two overlap stylistically and chronologically. But then, how do you tell which one you have? Art deco is French. Though it had begun years earlier, the art style was introduced to the world at the Paris Exposition International des Arts Décoratifs et industriels in 1925. Art deco was influenced by different cultures including those of Asia and Africa. The designers of art deco were all about ornamentation but a restrained kind of ornamentation. Vintage paintings from the era of art deco and furniture from the era are highly valuable. Art Moderne is American. It is loosely based on art deco and this is why they are similar to some extent. This art type dates back to 1930s to 1940s. As you can expect, antique paintings and anything associated with the art were bigger, bolder, and literately brassier. The furniture emphasises its geometric outline. Serious interest in art moderne stems from the precision of line and duplicate of functional features like bolts, handles and knobs. Which of them do you have? In terms of their value, there may not be significant difference between art deco and art modern. It is truly important, however, that you know the exact one you have. This helps you understand the worth better whether you want to sell or keep the item. When searching for an estate sale company, you will notice that there are several of them claiming to be the best. The entire process of looking for the right firm or individuals to handle your estate liquidation can be overwhelming but you need to make the right choice if you want to get the right value for the contents of your estate. Get referrals – it is important that you get referrals from reputable sources when you are searching for a reputable company. A trusted real estate agent, an accountant or a financial planner can make the right recommendation. There are some websites that can help too. Interview different companies – to know who will be more suitable for your estate liquidation, you need to interview three or four companies and see what they have to offer. Consider the level of service they offer and the costs before making your decision. Free clean-up is not always a great idea. Some of the companies that offer free clean-ups shuffle unsold items into their next sales and that is poor practice. Pay for clean-ups and donate unsold items, rather. There are several estate liquidators around and getting the right estate sale company for your need should be your priority.